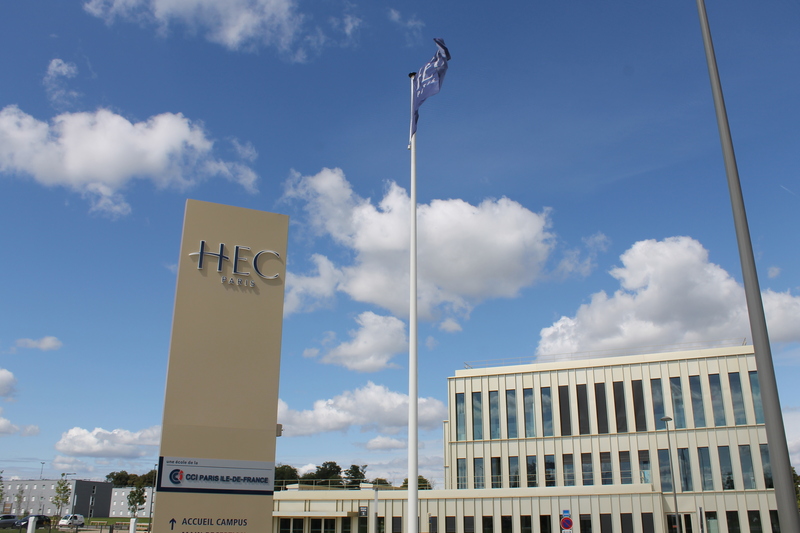 Free HEC Paris MBA Essay Samples | Aringo consultants are the top in the world! Since childhood, I have been involved in the world of martial arts, studying karate and Kung Fu from the age of 9. At the age of 21, my curiosity drove me to explore the life of Shaolin monks, and I enjoyed the privilege of living in the Shaolin Temple in China – a place where time stopped 300 years ago. After two months, I said a fond farewell to the new friends I made there, but I can easily imagine my life had I chosen to stay on for several years, training and enriching my mind in this simple, modest and spiritual life. For the first few years, I would have spent 10 hours a day either meditating or practicing each and every Kung Fu movement to perfection. Later, I would have augmented these practices by registering for an online degree in History, another one of my great loves. Eventually, I would have returned to my country and taken an academic route, dedicating myself to research and doing a doctorate in World History. In parallel, I would open Israel’s first branch of Shaolin Kung Fu, a nonprofit institution that would use the methodologies and values of Chinese Kung Fu to help develop and teach at-risk children. My life in this parallel universe would have a completely different atmosphere, with the adrenaline and restlessness of business and marketing replaced by a calm, spiritual and intellectual experience, yet still with my eagerness to bring to the world innovation and to make an impact. Soon after joining _____, I accompanied a senior sales manager to a meeting with a client – one of the largest supermarket chains. To my surprise, I heard him promise them, on my behalf, a large marketing grant for promoting our products. Back in my office, I reviewed the numbers, and became certain: something was wrong. A bit of investigation uncovered that this sales manager’s son held a franchise of this supermarket. I wasn’t sure how to react. I was new there; he was senior and experienced. Perhaps such familial connections were normal. Nevertheless, I could not in good conscience let it go. I denied the marketing grant and reported the entire story to my manager. She supported my decision, as did senior management, and the customer’s account was transferred to someone else. The thwarted sales manager began bad-mouthing me behind my back, but as his colleagues came to know and appreciate my work, the matter was eventually forgotten. This incident made me aware that personal agendas can be at play in business decisions, and I must therefore be extremely careful to do my own due diligence when evaluating the feasibility of each case. I also learned that being responsible leader means sometimes taking unpopular decisions. At age four, I was diagnosed with a severe case of ADHD. As I grew older, focusing became increasingly harder. I couldn’t sit still at school, which caused friction with my teachers. The doctors and counselors recommended medication that would calm me down. My parents refused, believing that I could learn to channel my ADHD into other things, and succeed despite it. They were right. Over time, I developed a set of skills to keep me focused. I invested time in sports, where I could release energy, and at school I worked twice as hard to keep up – ultimately graduating with honors. When it was my time to register for mandatory military service, I applied for and was accepted to one of the country’s most elite units: Submarines, where I was challenged with learning physics and mathematics along with complex machinery. From the first days of basic training, I could see this would not be easy. The job demanded studying vast amounts of complex material in short time periods. In addition, being in such close, tight quarters was challenging for someone so hyperactive. Nevertheless, I graduated as one of the top students in my course, and went on to be a commander. By the time I finished the military, I knew I could go on and be anything I wanted in life, and that no obstacle would ever stop me. By overcoming ADHD on my own, I set the path for future success, making this my most significant life achievement. HEC MBA Essay Example #4 - Question: Why are you applying to the HEC MBA Program now? What is the professional objective that will guide your career choice after your MBA, and how will the HEC MBA contribute to the achievement of this objective? Following my MBA, I plan to seek a position as marketing director in one of the world’s largest FMCG companies, such as Nestle, L’Oreal, Unilever or Kraft Heinz. Within 5-7 years I hope to head a division in a large company and, ultimately, to become a group CEO. Now is the ideal time for me to apply to HEC. My five years serving in the military in the Submarine unit honed my teamwork and leadership skills, making me today and in the future a more effective colleague and manager. My service in the University Student Union, particularly as Vice President, taught me to see the bigger picture and to make decisions that achieve maximum value under challenging circumstances. Following graduation, working as Brand Manager at L’Oreal, I learned industry basics, such as the value chain, trade and marketing, and showed me how a global company works. My current job as Manager, CCSD, at Nestle, has helped develop my understanding of trade, sales and business development methodologies, while enabling me to improve my managerial and leadership skills. Now, with a solid background in my chosen industry, and a strong platform of skills, I believe that earning my MBA at HEC will provide the tools and knowledge I still need to succeed in my goals. The Marketing specialization, with courses including “Creativity Accelerators” and “Decision Making and Influence” will enable me to approach marketing decisions with greater confidence. As well, HEC’s practical teaching methods and hands-on training are ideal for me. I’m especially excited about the Fieldwork Project, where I hope to be assigned to a fast moving consumer goods company, working in the marketing segment. Working in this capacity, hand-in-hand with senior executives, will prepare me to approach the challenges I’ll later meet as marketing director in a global company. Later, to succeed as a Division CEO, I’ll need a combination of general management, leadership, strategy and finance skills. Fundamental courses such as “Strategic Management” and “Operation Management” will help me to see crucial and complex processes through the bird’s-eye view of a manager. I’m also eager to join the General Management & Leadership Club, where I can attend lectures by top CEO speakers, such as Jean-Paul Agon and Fabrice Bregier, and participate in club workshops. I also plan to join the MBA Council, where I can leverage my 4 years as an elected representative in my university’s Student Union. HEC’s career center and unlimited support in helping students find the right post-graduation employment is another exceptional offering. The fact that many of the companies I’m interested in are top recruiters at HEC is an enormous bonus. I truly believe that HEC is the perfect place for earning my MBA. If given the opportunity, I hope to give back to the school as much as I will gain. From serving as a council member or ambassador, to taking on a leadership role in the Luxury Club or participating in the MBA Tournament, I plan to be a contributing member. How can you improve your HEC MBA Essays?